So what do we make of the patterned concurrence of not one but two genre violations? What does it mean when the genre violates conventions by locating violence in the city, where it is most expected, and furthermore plays openly on prevailing cultural anxieties by marking the monster as a racial Other? She looks to analyze a few urban horror films to answer these questions: The Possession of Joel Delaney (1972), The Believers (1987), Q: The Winged Serpent (1982), Headhunter (1990), Wolfen (1981), Tales From The Hood (1995), and arguably, the most popular with audiences and horror film scholars who focus on race, Candyman. The monster, Candyman, is encoded as "the product of white racism" that relentlessly exists on the grounds where he was lynched centuries ago, the now Cabrini-Green projects in Chicago, Illinois. He is a factual myth/legend that thrives off the fear of those who occupy, a mostly if not exclusively African American populated inner city tenement. What does Candyman suggest about space and experience? 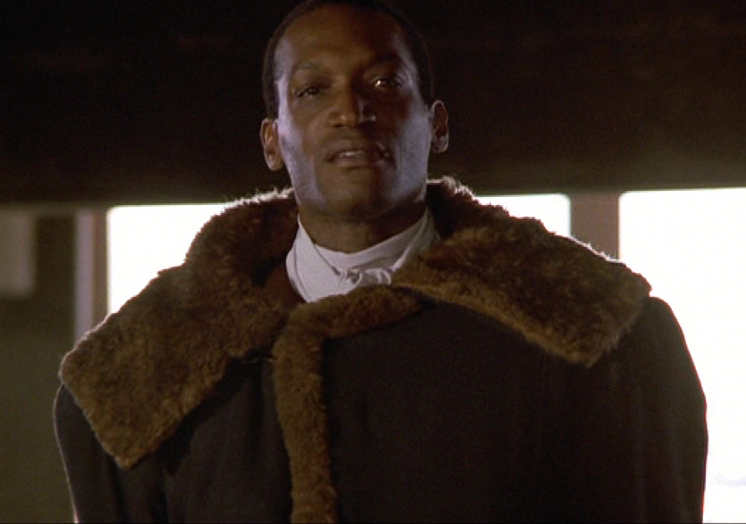 Is Candyman empowering as a supernatural figure of vengeance or a regressive allegory for black-on-black crime (as his location of concentrated fear and its demographically specific inhabitants suggest)? Does he represent a mixture of both? More? What does Candyman say about African American urban blight itself as a monster of sorts? What does Candyman symbolize in America's racist policies? Judith Halberstam. Skin Shows: Gothic Horror and the Technology of Monsters. Durham, NC: Duke UP, 1995. Noel Carroll. "King Kong: Ape and Essence." In Planks of Reason: Essays on the Horror Film. Ed. Barry Keith Grant. Metuchen, NJ: Scarecrow Press, 1984. 215-44.